Wonderful weather, enough to make you believe in Spring. 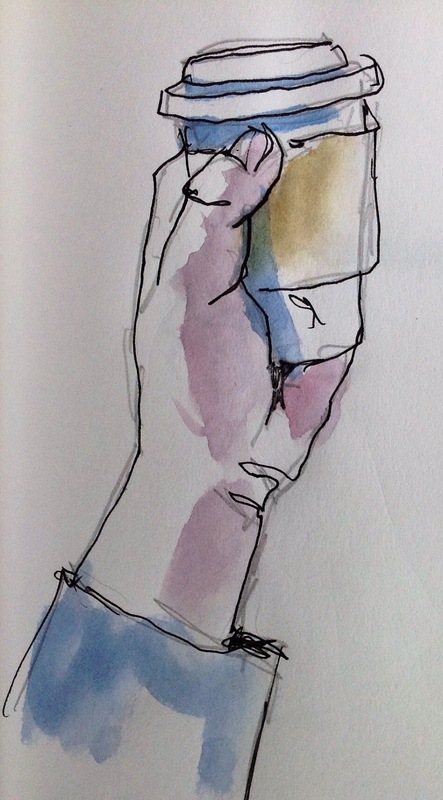 We met in the public area of the Sony building for the Sketching Hands exercise. I thought it was a fantastic warmup for the day. I would guess that very few sketchers are completely happy with the way they draw hands. I could probably do a Hand Sketching Party for several hours a day for the next six months and still feel the need for improvement. We each took turns being the hand model. Each sketch was timed for three minutes and we moved rapidly around the table with everyone trying to come up with a different creative hand pose. The three minute duration and the rapid change from one pose to the next meant that we didn't have time to worry about the results or sweat the details. After having lunch together we went out to Park Avenue to sketch the Seagram Building and the Lever House. Park Avenue was filled with these wonderful huge white sculptures by Alice Aycock that evoked the feeling of a tornado in a paper-shredder. The street art exhibition was called the "Park Avenue Paper Chase". 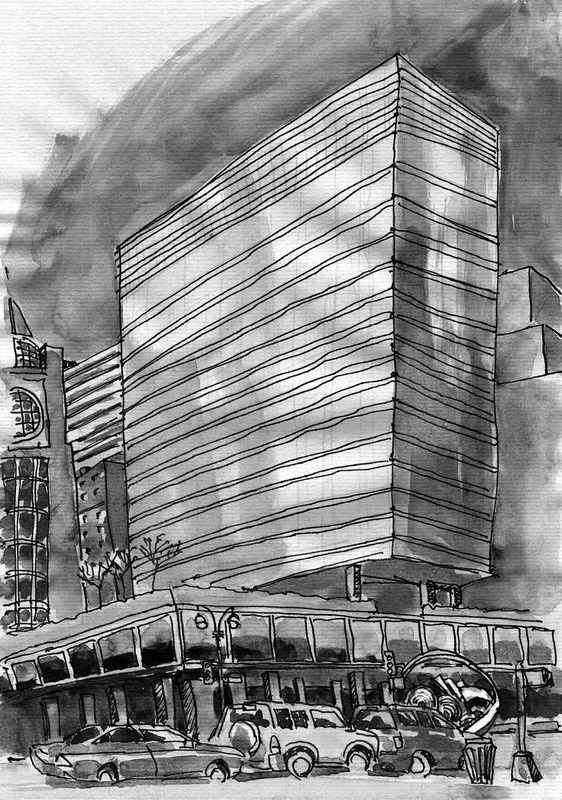 You can see her sculpture peeking out at the bottom of this sketch of the Lever House just beyond the parked cars. 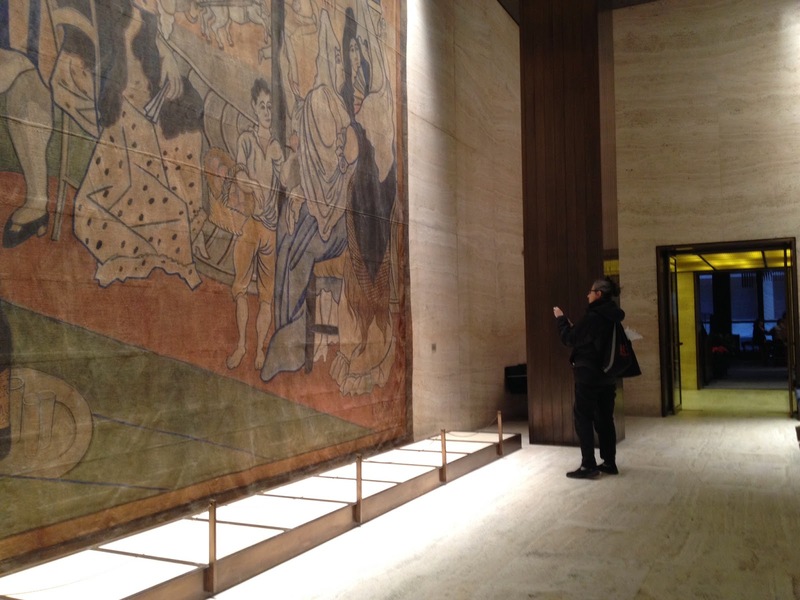 Marie Roberts mentioned that there was a fantastic Picasso in the Four Season's Restaurant, which is in the Seagram Building. There's been a lot of press about the painting because they want to move it and replace it with something else. It's been in that locations since the restaurant first opened. The problem is the huge size means there are very few venues that could show the artwork. 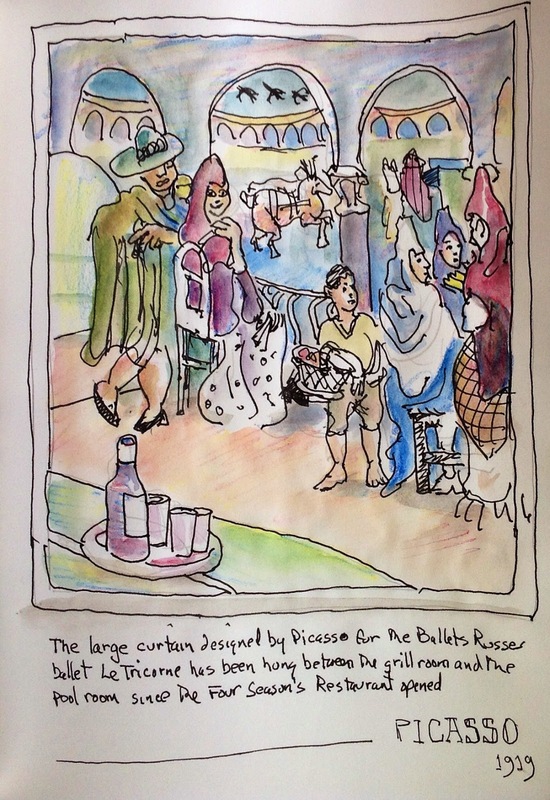 It was originally commissioned by Serge Diaghilev for the Ballets Russes. I'd never seen the painting, and there's nothing like sketching a painting to help you see it.